Lately I made a mistake, which went unnoticed for quite a long time. In an effort to improve performance of JAXB (Java Architecture for XML Binding) operations, I cached instances of javax.xml.bind.Marshaller and javax.xml.bind.Unmarshaller. This article explains why this was not a good idea and describes how pooling with Apache Commons Pool can be used instead, to improve overall JAXB performance. JAXB API is fairly verbose, however when working with XML we generally do not want to create SchemaFactory or JAXBContext... What we really need is just one method to marshal object into XML string and second to unmarshal string to object. This goal is described by JaxbHelper interface. When parameter schemaLocation is present XML is validated against XSD schema, in case it is null validation is not performed. * Custom interface, which simplifies JAXB API. Let's start with the simplest possible implementation. It will serve later as a unit of measurement for comparing performance. This and all following JaxbHelper implementations are thread-safe and re-entrant. Parameter schemaLocation is relative to the class, so in case XSD schema is in the same package as class, then name of schema is sufficient and path can be omitted. * Simplest possible implementation, does not use cache nor pooling. It is thread-safe and re-entrant. * Implementation which holds it's JAXBContext and Schema instances in a map. It is thread-safe and re-entrant. Third implementation leaves Schema instances cached as before, but uses pooling for javax.xml.bind.JAXBContext, javax.xml.bind.Marshaller and javax.xml.bind.Unmarshaller. First to notice in PooledJaxbHelper is PoolKey, this inner class serves as key for marshaller, unmarshaller pools. It encapsulates class and schema location, schema location may be null so equals and hashCode methods must be generated accordingly. Commons pool is very easy to work with, it contains org.apache.commons.pool.impl.GenericKeyedObjectPool which can hold instances relative to a key. It must be provided with factories which can create pooled objects. JaxbContextFactory is responsible for creating new JAXBContext instances where MarshallerFactory and UnmarshallerFactory are responsible for creating Marshaller and Unmarshaller instances. MarshallerFactory and UnmarshallerFactory already use jaxbContextPool for borrowing JAXBContext instance. 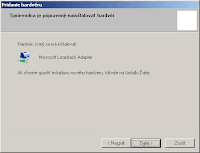 Every object borrowed from pool with borrowObject method must be returned with returnObject method. Pool may be provided with optional GenericKeyedObjectPool.Config to change default configuration. I decided to invalidate Marshaller and Unmarshaller instances when exception happens with invalidateObject method, so that this instance is not to be used again. * Implementation which holds it's Schema instances in a map, and uses pooling for JAXBContext, Marshaller and Unmarshaller instances. * It is thread-safe and re-entrant. minEvictableIdleTimeMillis = 1000L * 60L * 5L; // 30 min. As for performance there are many factors which must be taken into consideration, like for example complexity of XML documents, pool configuration, number of processors, size of memory and so on... Therefore absolute numbers do not have any meaning here, but here are some relative results which seem to be consistent enough. Which basically says that CachedJaxbHelper is 6 to 8 times faster than SimpleJaxbHelper and PooledJaxbHelper is 9 to 14 times faster then SimpleJaxbHelper. Úsmevný pokus o dôkaz, že Matrix bol naprogramovaný v Jave inšpirovaný Disgruntled Bomb. Recently I tried to clarify some points concerning authentication part of Seam security. Here can be found forum thread, where I gave some advice on this subject and which was inspiration for this blog entry: How to persist user? So what it is all about? Seam provides a standard API for the management of a Seam application's users and roles, called Identity Management. In order to use Seam's Identity Management it must be configured with Identity Store. Out of the box Seam provides Jpa Identity Store which stores users and roles in database. But this presents CATCH XXII situation when there is an empty database and there is no possibility to log in. In short, developer can not use identityManager.createUser(String name, String password) method because he can not log in and he can not log in because there are no user accounts in database to log in with. Well no problem, developers can populate their brand new database with SQL scripts manually or in case of Seam, import-dev.sql file can be employed to do the job. But still there is one catch, Seam can automatically hash passwords in database and it is not trivial to reproduce this manually. This article explains first shortly how to set up Jpa Identity Store using hashed password with salt and then how gather all information needed to create SQL script, which inserts first user into database. Most noticeable annotations are @UserPrincipal, @UserPassword and @PasswordSalt. In field annotated @UserPrincipal username is stored. In field annotated @PasswordSalt salt is stored. In field annotated @UserPassword hashed password is stored. After running this test, all information needed is logged as info message. This test can be run multiple times in case more user accounts are desired. Na jednej strane je J2EE aplikácia zabalená ako EAR, vygenerovaná seam-gen skriptom, ktorá obsahuje EJB modul JAR a webovú časť aplikácie WAR. Na druhej strane, je celkom bežná potreba, použiť niektoré knižnice na oboch miestach. Ako riešiť túto situáciu? Skopírovanie danej knižnice do oboch lib adresárov problém nerieši. Pretože sa môže napríklad stať, že trieda z danej knižnice je návratovou hodnotu metódy session beanu použitej v servlete. V tomto prípade by si web kontajner sťažoval, že trieda, ktorú mu vrátil session bean do servletu nieje tá, ktorú skutočne očakával. Jedno z riešení spočíva v tom, že knižnice z adresáru myapp.ear/myapp-web.war/WEB-INF/lib okopírujeme do myapp.ear/lib a vytvoríme manifest súbor s classpath a umiestnime ho sem myapp.ear/myapp-web.war/META-INF/MANIFEST.MF. Za povšimnutie stojí, že cesta v manifeste, je relatívna ku koreňu EAR súboru. Výsledkom je, že všetky knižnice sú viditeľné pre EJB modul a pre web modul sú viditeľné knižnice richfaces-impl.jar a richfaces-ui.jar. Tento manifest súbor sa dá samozrejme napísať aj ručne, ale zvyčajne je v classpath-e oveľa viac záznamov a keďže povolená dĺžka riadku je v manifest špecifikácii je obmedzená ľahko sa môže stať, že ručne napísaný manifest bude chybný. Projekt vygenerovaný seam-gen skriptom používa na kopírovanie knižníc do war súboru následujúcu časť kódu. Modifikovaný ANT skript, ktorý nič nekopíruje, ale namiesto toho vytvorí manifest súbor s classpath záznamom. 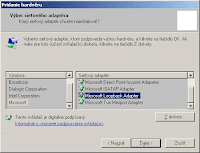 Tento tutoriál by mal pomôcť pri nastavení jednoduchého JBoss klastra na jednej pracovnej stanici s operačným systémom Windows Vista. Konfigurácia má význam iba pre programátorov, ktorí potrebujú otestovať, alebo vyvíjať svoj program na klastri, ale nemajú k dispozícii viac počítačov. I have spent more than hour fighting this issue. I will wrote it down rather than forgetting about it. So that in case I have to do this again I will know where to look, and I hope that it might be helpful for others as well. Scenario: Project generated by seam-gen originally used Hypersonic SQL database (HSQLDB). Later Postgre SQL database (PGSQL) was installed and properly configured with dev build profile. However tests which are running in embedded JBoss still use HSQLDB, the goal is to configure tests to run on PGSQL as well. Documentation says: By default, a generated project will use the java:/DefaultDS (a built in HSQL datasource in Embedded JBoss) for testing. If you want to use another datasource place the foo-ds.xml into bootstrap/deploy directory. Sounds easy considering that dev profile is already configured with PGSQL datasource which is woking with ordinary JBoss 5.1.0. One would assume that it is sufficient to copy myproject-dev-ds.xml file to bootstrap/deploy directory (rename it to myproject-test-ds.xml for clarity sake), then change persistence-test.xml according to persistence-dev.xml and all should work. So both files seem to be configured properly, how come it is not working then? Solution can be found here: https://jira.jboss.org/jira/browse/JBPAPP-2223.